Beyoncé‘s been involved with Pepsi since 2004, when that awesome Gladiator-themed ad starring her, Britney Spears, and Pink debuted. 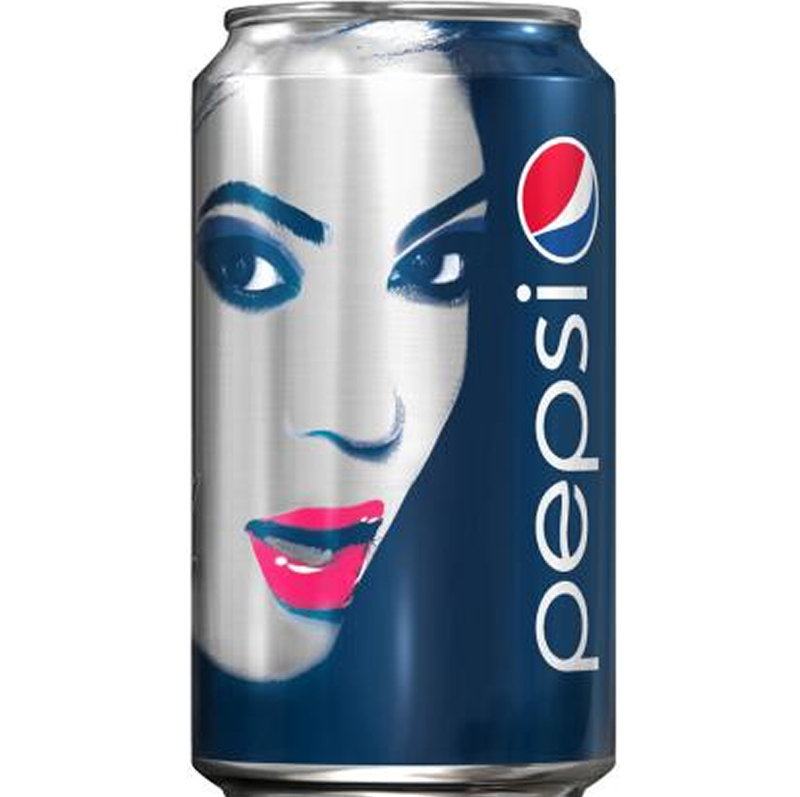 This go-round, Bey’s solo for the soda brand’s global campaign that encourages fans to “embrace your past, but live for now.” The 2013 partnership resulted in her famous face — red pout and all — appearing on Pepsi cans. 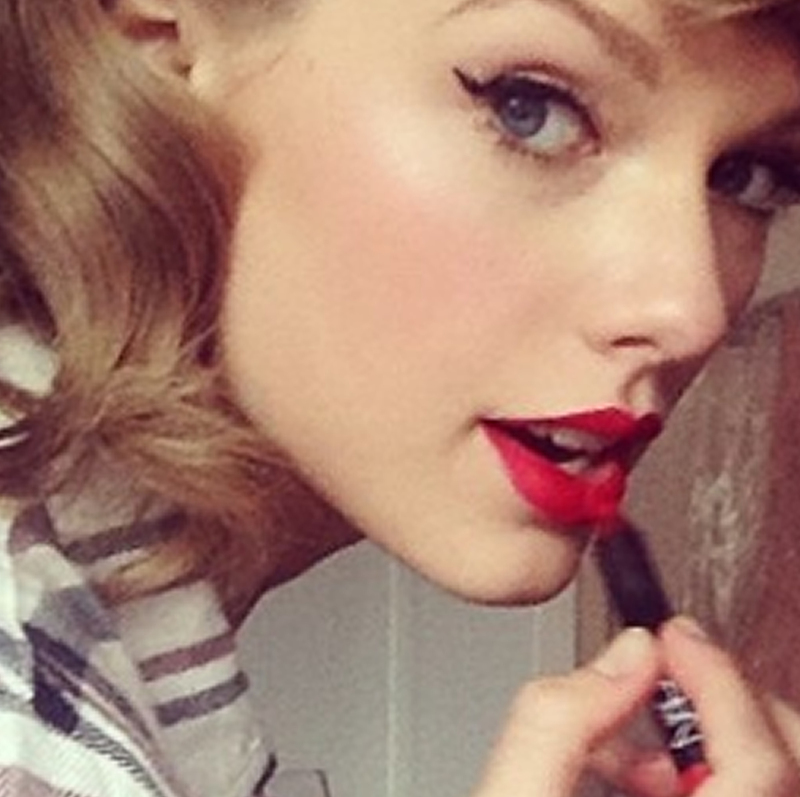 Just like her albums, the Taylor Swift Diet Coke cans flew off the shelves when they were released in October 2013. 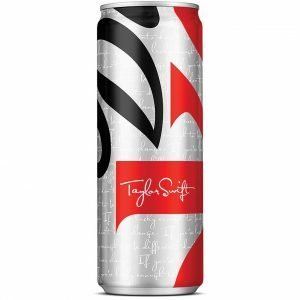 Tall and slim, just like the singer, the specially designed can included the quote, “if you’re lucky enough to be different, don’t ever change” amid multiple copies of Ms. Swift’s signature. Michael Jackson first collaborated with Pepsi in 1984. 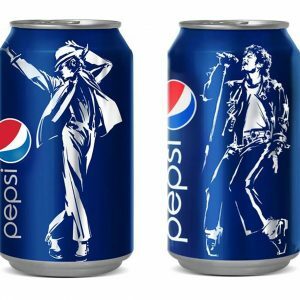 Nearly thirty years later during the Summer of 2012, the soda company paid homage to the late singer with special edition cans featuring MJ striking signature poses as part of its “Live For Now” campaign. 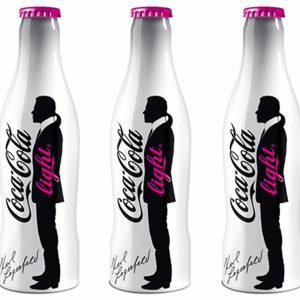 Karl Lagerfeld has been quoted as saying, “I drink Diet Coke from the minute I get up to the minute I go to bed,” so his collaboration to redesign the classic cans is as authentic as it can get. The unmistakable silhouette of the creative director for Chanel appeared on limited edition cans in both 2010 and 2011 but were only sold abroad in fittingly fashionable spaces — the first in Paris boutique Colette and the second at the UK-based luxury department store Harvey Nichols. 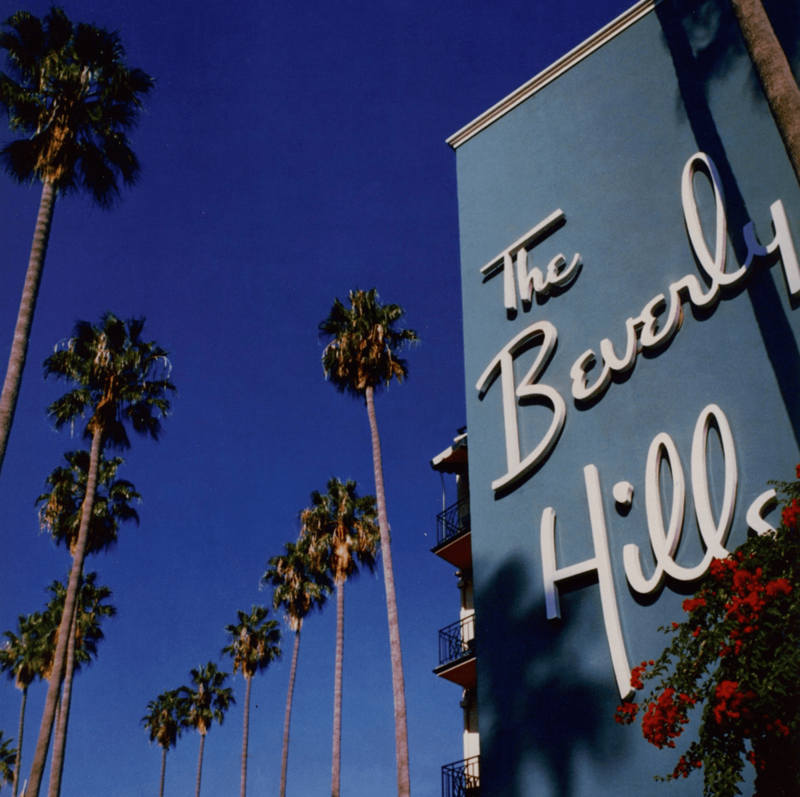 Fellow designers Marc Jacobs and Jean Paul Gaultier haven’t themselves appeared on the cans, but their designs have. 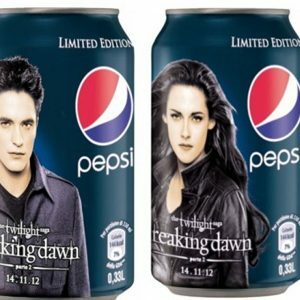 Between 2008 and 2012, when all five Twilight saga films were released in theaters, Kristen Stewart, Robert Pattinson, and Taylor Lautner appeared on several special edition cans released in Italy (perhaps a nod to the Volturi’s home base? 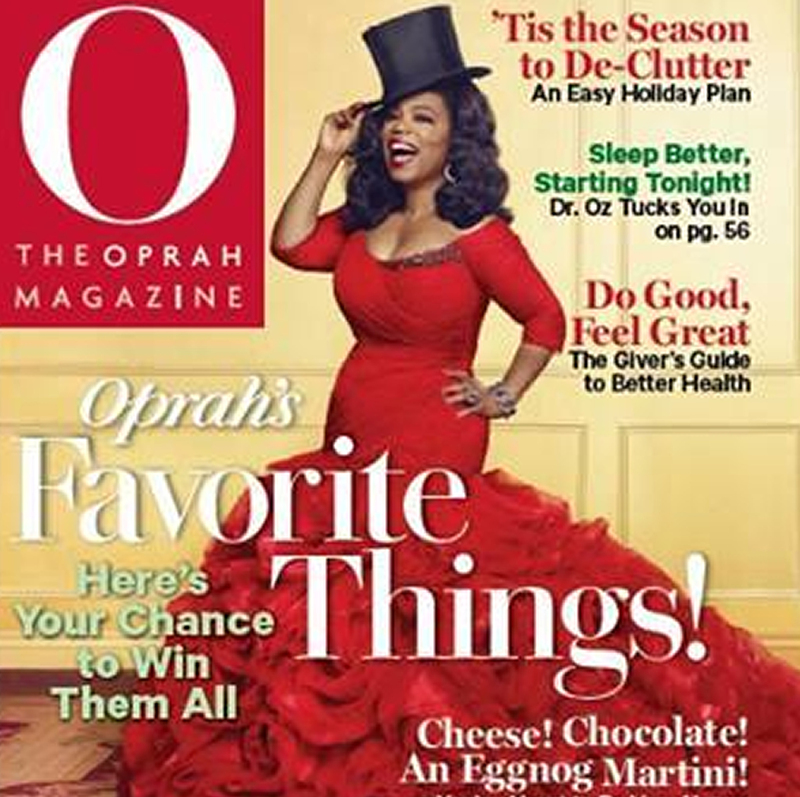 ), both together and individually. 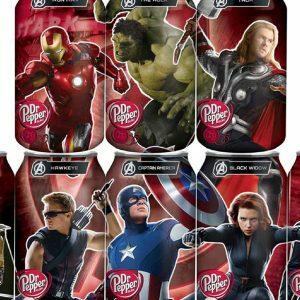 Dr. Pepper produced a set of eight collectible cans featuring different characters from the 2012 release The Avengers that, when (ahem) assembled, showed off the collective power of these super heroes. 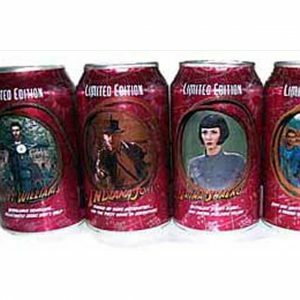 To coincide with the May 2008 premiere of Indiana Jones and the Kingdom of the Crystal Skull, Harrison Ford, Shia LaBeouf, and other of the film’s stars had their mugs immortalized on a special set of soda cans. 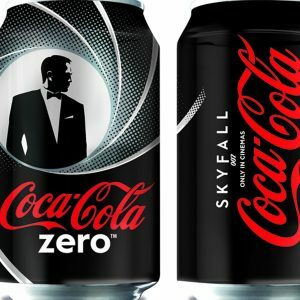 Daniel Craig made the cut for Coca-Cola Zero’s limited edition cans that came out ahead of the 2012 James Bond installment, Skyfall.